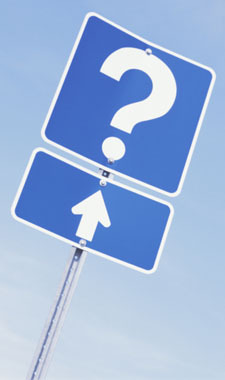 All Orlando chiropractors get questions – Kirkman Chiropractic gives you answers! Yes! We are participating providers for most major insurance plans, including Medicare, Medicaid and worker’s compensation programs. Do I need 3 visits per week? At the beginning of treatment, we are working to retrain the spine. In order to create lasting changes, frequent visits are needed. As progress is made, the frequency of visits declines. But we still recommend periodic visits to your Orlando FL chiropractor to maintain spinal health – which affects your overall health! Costs vary depending on what your treatment entails. The doctor will explain the details to you when you receive the report of findings and treatment recommendations. We have multiple payment plans and will work with you to find the one that best suits your needs. Our office is located on Kirkman Road, just down the road from Universal Studios, with convenient access to both the East-West Expressway and Interstate 4. Of course! Chiropractic is safe enough even for newborns, and children suffering from many illnesses and injuries that chiropractic care can help with. We love treating every member of the family! I’ve been in an auto accident. Can you help? Yes. We have over twenty-five years of experience in treating automobile, workplace and sports injuries. Even if you “don’t really feel anything,” it’s important to get chiropractic care as soon as possible after any type of injury. It often takes weeks or months for the symptoms to appear, and by then the problem has become bigger and more difficult to correct. If you have any other questions, or would like to schedule an appointment, we would love to hear from you. Call our Orlando chiropractic office today!